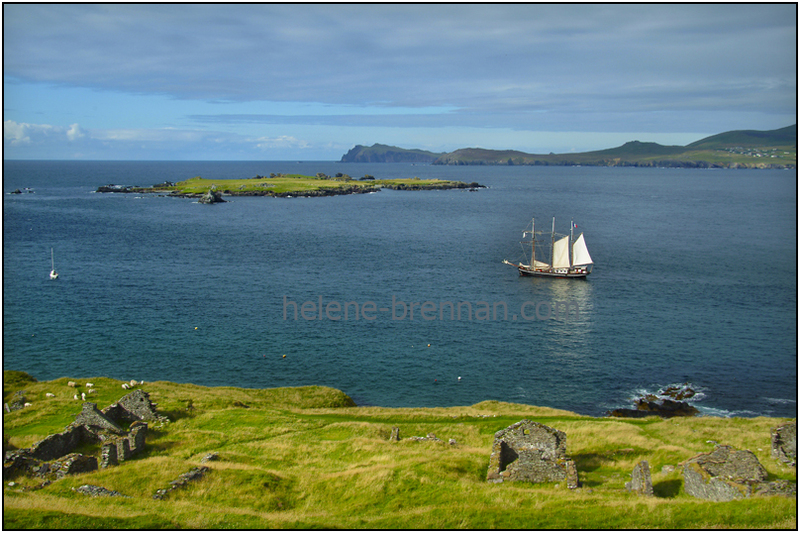 This is a view of Great Blasket Island from the mainland. 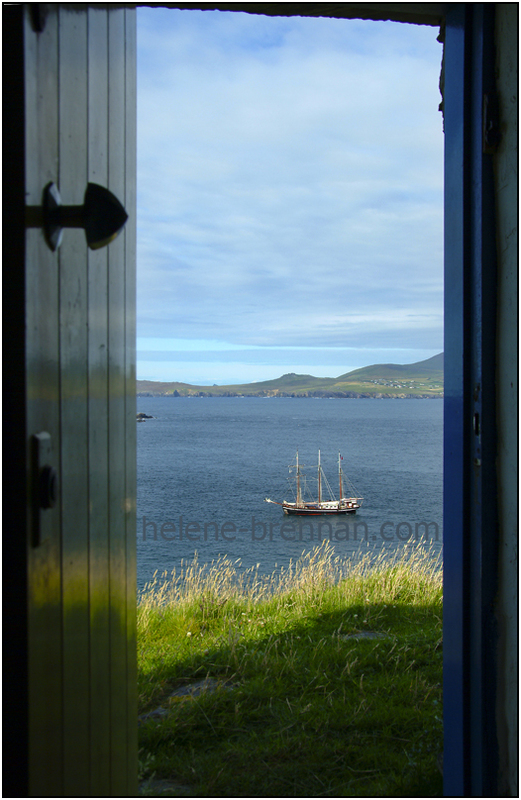 Last week I spent a couple of nights on Great Blasket Island, which is the largest of a group known as The Blasket Islands, off the coast of the Dingle Peninsula, in County Kerry, South West Ireland. I have previously enjoyed a lot of time on this island, and have taken hundreds of photos and painted several pictures of views form here, but new experiences and images are presented on every visit. The island is uninhabited, except for one or two people who may stay here during the summer sometimes, and occasional campers. There is a village, now in ruins, that was vacated in 1953. It’s an extraordinarily beautiful island. Well actually, it wasn’t an apparition, but a real sailing ship, a French visitor, who had just dropped anchor here to spend the night. See http://www.belespoir.com What better place! No pubs, no night life for the young crew, but they sure did enjoy themselves leaping, into the sea and swimming to and from the shore. Many also came ashore in their dinghy and savoured the many delights and mysteries of the island and its magical beach. I’ll bet it ranks high on their list of favourite overnight stops. I thought of the previous inhabitants of the island, and how many of them would have sailed to Boston, to settle in Springfield MA in a very similar ship. But they wouldn’t have had the luxury of boarding the ship so close to home. The emigration of young people from this island left its once thriving and vibrant community of writers, storytellers, musicians and fishermen very sparse, until the hardships of managing with inadequate services and fewer young strong people eventually forced the last few to leave in 1953. The ship dropped its sails to rest for the remainder of the day and night. 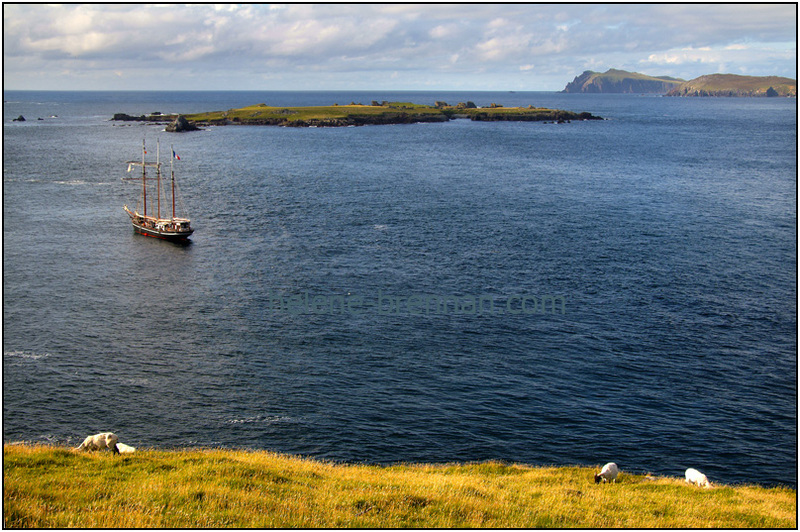 The small island of Beginish is seen here between Great Blasket and the mainland. The ruins of the village homes remain a poignant reminder of the island’s history. This photo was taken a little while after Bel Espoir dropped anchor. This is the view from the door of the cottage in which I stayed. The crew of Bel Espoir enjoyed one of the most beautiful places it could visit. 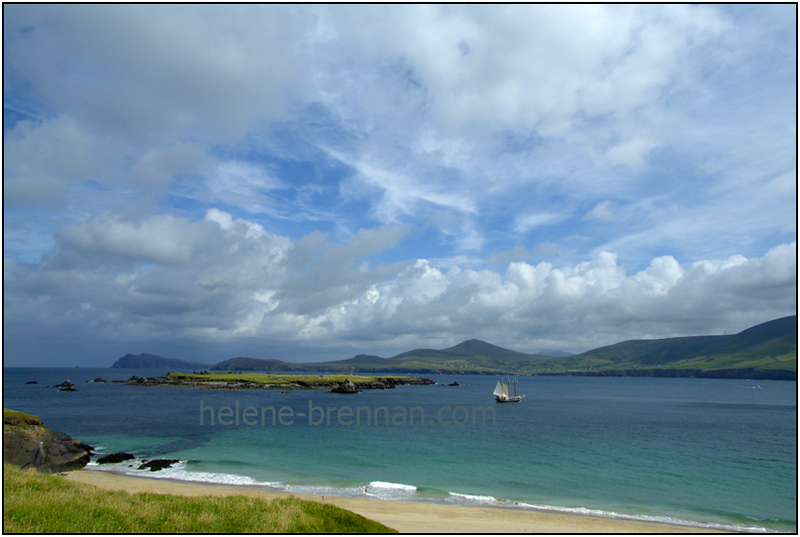 This photo shows the lovely island beach, An Trá Bán. More to follow about the island…….. 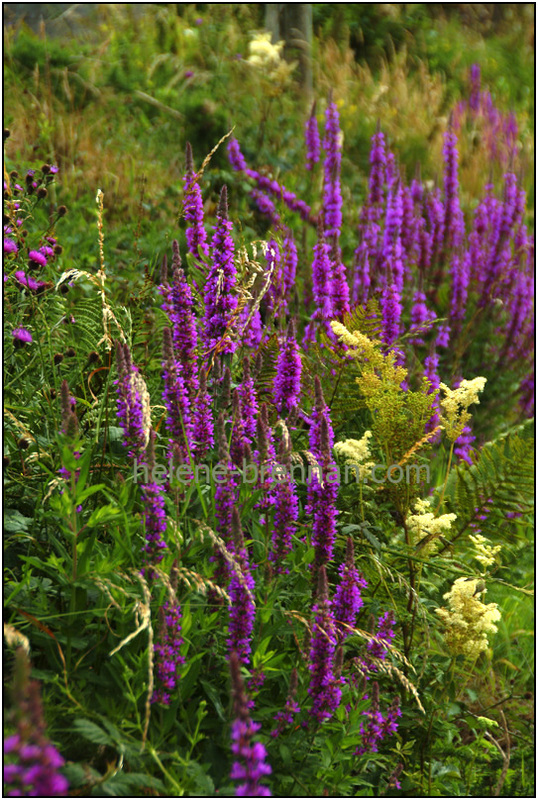 Sadly, there are many people who have either little regard or little awareness of this precious heritage, and often one can see evidence of weedkiller spray along vast areas of roadside at times when the flowers haven’t even had time to bloom and seed. So much must have been lost. 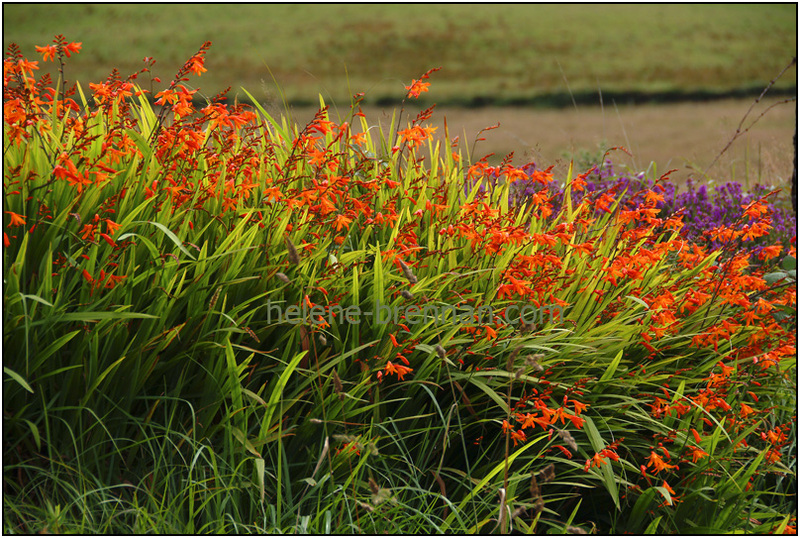 These photos were taken on the roads from Ventry to Ballyferriter, and from Ballyferriter to Murioch. 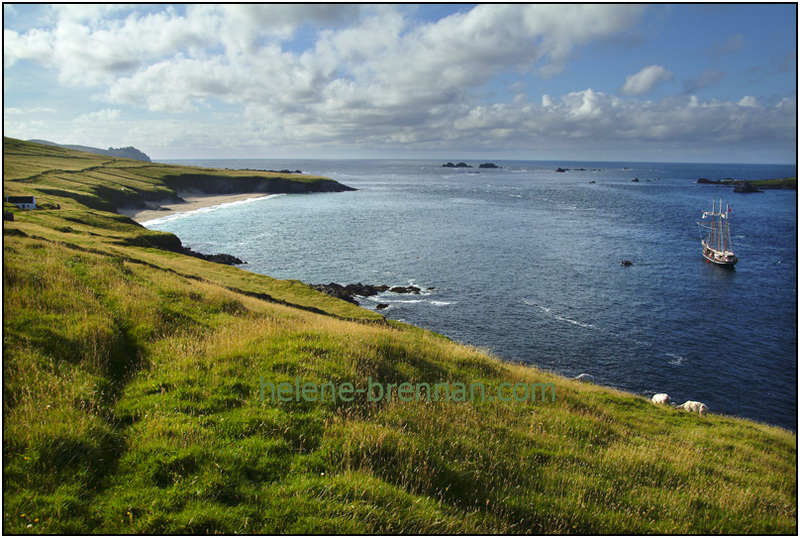 The latter is on the famous Slea Head Drive, but on a section that is often missed by tourists who fail to take the left turn at the Dingle Peninsula Hotel, and instead take the shorter cut back to Dingle.